A loan of $200 helped to buy more cloth, threads ,buttons, and other accessories. uliet is a tailor from Butuan City, the capital city of Agusan Del Norte in Mindanao. She is busy sewing clothes and school uniforms, especially this season because of the beginning of school. The demand for her products increases during this time. She seizes this opportunity to earn more and save some amount of money, because her husband’s income as a carpenter is very irregular. She has to buy more cloth, threads, buttons, and other accessories in order to produce more uniforms. Hence, she would like to get a loan worth PhP 8,000 to buy all these materials. This will be very beneficial in sustaining her household expenses and children’s educational needs. 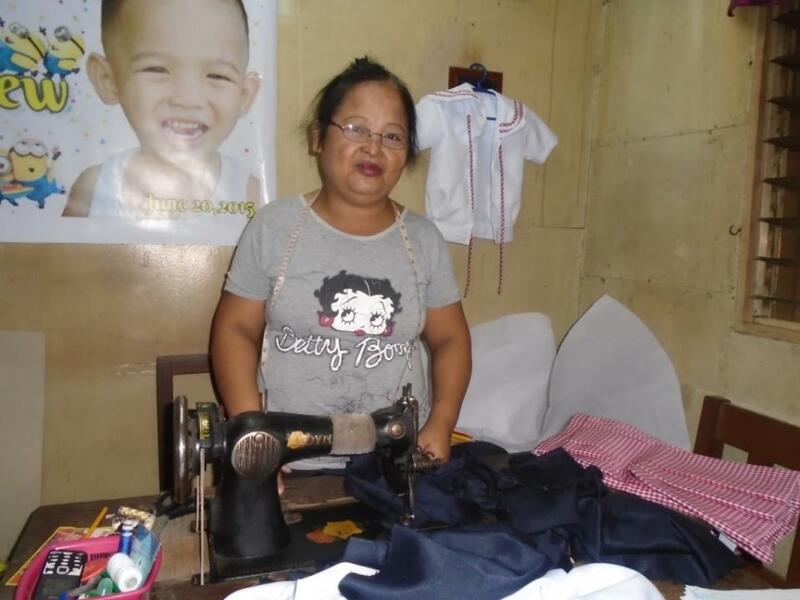 She looks forward to having more sewing machines and wants to put up a big tailoring shop someday. She is also working towards reaching her goal of owning a house and lot for her family. She meets up with her co-fellowship members to share stories of her work every week and where he can also draw strength and inspiration from the word of God. * All CCT community partners / clients are organized into fellowship groups that meet on a weekly basis. A fellowship group is composed of 15 to 30 community partners. The fellowship groups gather each week to study the word of God, build social capital, and pay microfinance loans.